Home news On device collection, N-Power gives update. On device collection, N-Power gives update. 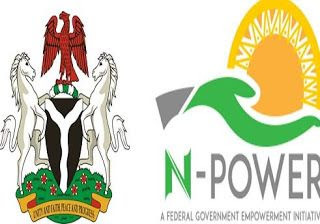 The Nigerian temporary employment scheme, N-Power has dropped an update for volunteers who are yet to collect their devices. In an information it shared on its official website on Saturday morning, the scheme warned those causing trouble by going to other centers in demand of their devices to desist. While calling on participants to report any form of exploitation or unfair treatment from their staff, the scheme also asked participants to remain in their centers of device collection. It wrote, “For everyone collecting devices at this time, we want to be very clear that you are expected to conduct yourselves properly at all times. “Where you are exploited or treated unfairly, we will address the situation. “What happened yesterday in a particular state must never happen again. No member of our distribution partners must ever be threatened physically or harmed in any way. “If you are asked to go to a Center and the Center is locked or not opened for whatever reason, contact us and we will address immediately. “It is NOT for you to go to other centers where you were not invited to, to disrupt work activities.